The photographs below show Mrs. Sheena Dunsmore, Manager of Kidney Kids Scotland in Stenhousemuir and Mr. James Crossley, Project Manager for Action for Children Scotland at Tayavalla House, Camelon each receiving a cheque for £400.00 from Brother Andrew A. McKinnon R.W.P.G.M. and Alistair T. Marshall Depute P.G.M. 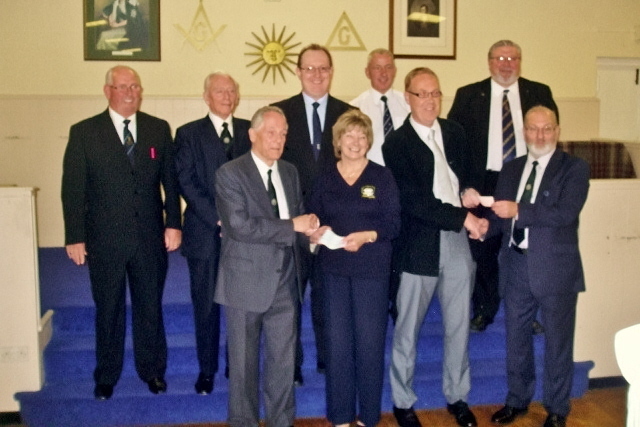 respectively at the presentation held in Lodge St. Andrew (Denny & Loanhead) No. 176. 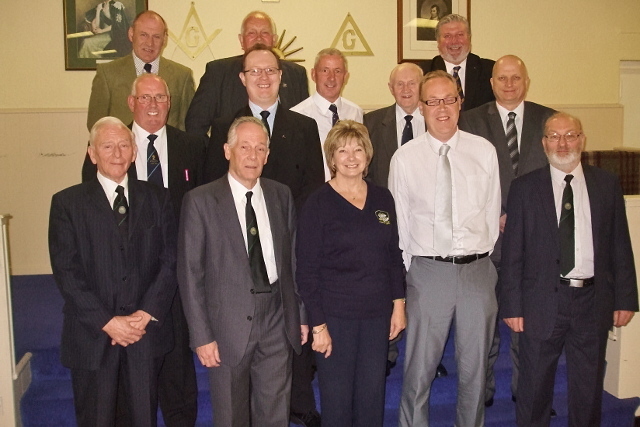 In the background are members of PGL and a number of reigning Masters from the Province. 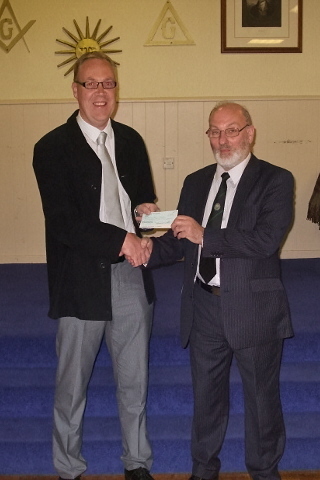 The money was raised on the occasion of the Reigning Masters Degree held at Lodge St. Andrew (Denny and Loanhead) on 22nd April this year. The Most Worshipful Depute Grand Master, Brother Hugh Bryson, represented Grand Lodge at the Reigning Masters' Degree on 22nd April 2011 in the company of Grand Secretary. 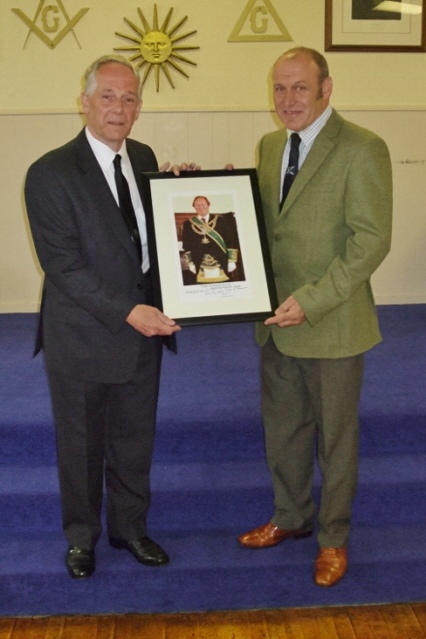 The RWPGM Brother Andrew A. McKinnon presented a portrait of the Grand Master Mason to the RWM. of the Host Lodge, Lodge St. Andrew (Denny & Loanhead) No. 176, Brother Robert McLaren, on behalf of the Depute Grand Master.